I approach my running in a similar way to the way I approach my life. I feel secure and comforted if I am in control and can plan ahead. Those close to me know that surprises scare me and stress me out. 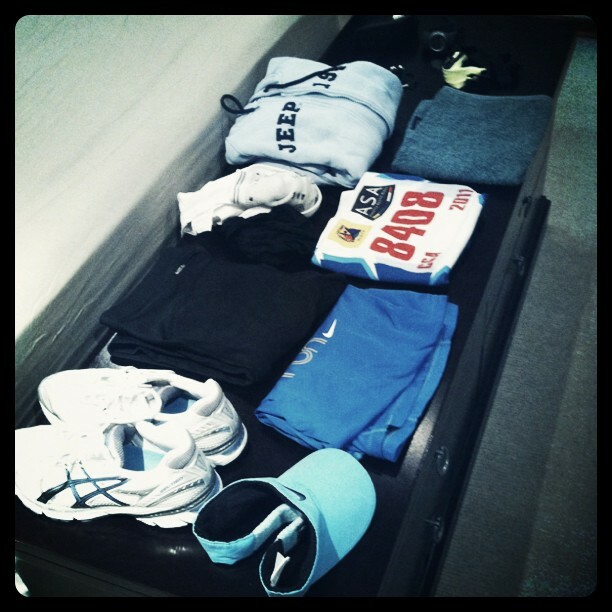 There’s a ritual that allows me in some small way to have control of my race: the laying out of my running kit the night before each race. I start from the bottom up: running shoes, socks with the red stripe, running shorts, running top, warm top, running bra, running cap, running watch, head band, hair clips and sunglasses. I also have a pair of small pearl earrings which serve two purposes. The first is that I do believe they give me good luck. The second is that with no make-up on (think albino) and my hair tied back, I feel at least a little pretty. And just in case I bump into someone I know. In addition to that, I also read the race review in the Nedbank Runner’s Guide and do extra hill or speed work at the gym with my personal trainer. But no matter how prepared I am, what my running has taught me is that some things are beyond my control. The weather, the traffic, the queues at the loos before the start of each race. Some things I just cannot prepare for. But that’s okay… it really is. And so too in life, I can only be as prepared as I can be. My next mission is to try and work on my ‘mental preparation’. This is still where my biggest challenge lies. In Arnold Swartzenegger’s encyclopedia on bodybuilding, he talks about preparing yourself before a big lift. Watch any bodybuilder/gym goer and you’ll notice that before lifting the weight we all go through a ritual, we might place our hands specifically on the bar, take some deep breaths, close our eyes and pause before lifting. What we are doing is mentally doing the movement, in order to lift a heavy weight you first have to lift it in your mind. If you cannot lift it in your mind, you won’t lift it in reality. I would imagine when laying out your togs, you are mentally preparing yourself for the run ahead, imagining the uphills, the start and perhaps the feeling at the finish line after completing the distance. You are doing the race in your mind, and in visualizing it mentally you will be able to complete it in reality. Keep up the good work, you’re an inspiration to many. Oh wow! never though ot it like this before. I guess you’re right. Thanks Mike!